Barbara Natoli Witt studied fine art and graphic design at Cooper Union, and art history at Berkeley. 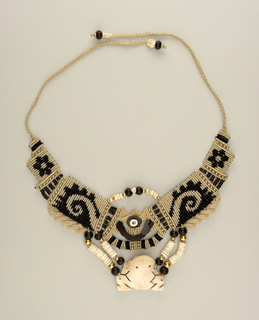 She became interested in textile techniques and taught classes in weaving, rug design, lace making, and macramé in the Bay Area, where one of her students introduced her to a collection of antique beads. 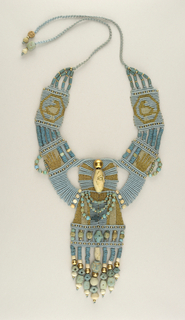 Soon after, Witt began to incorporate beads, talismans, and amulets into the broad, woven collars of her design. 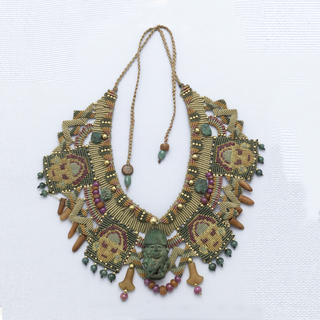 Witt’s neckpieces usually begin with a special ornament, or with the interests of a particular client. 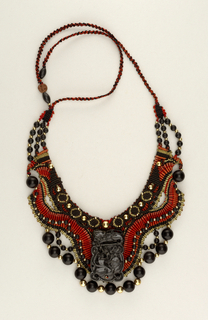 She works closely with both the object and her client. 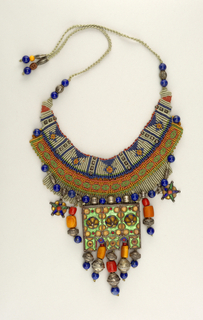 The whole composition, motifs, and color scheme of a necklace will revolve around the form and meaning of a central antique bead or... more. 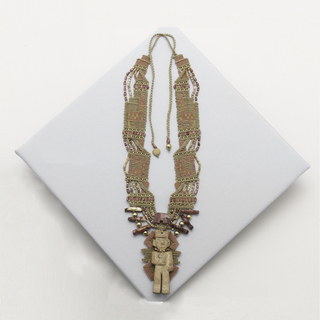 We have 7 objects that Barbara Natoli Witt has been involved with.